It takes little these days for the darkened air of the Kremlin to have an impact on the politics of other countries. Across continents, it has become a tenured dark eminence with President Vladimir Putin on his irrepressible steed: Where will it strike next? His impact is often alleged, it is almost never quantifiable, but the influence, after a time, is that of a person who believes in witchdoctors. The chat, taking place in the wake of President Barack Obama’s December 29 order expelling 35 Russians suspected of espionage, supposedly involved assurances to the ambassador (the point “adversary” is repeatedly used in the accounts) on movement on the sanctions regime. This was a situation made saucier by a false (alt-fact?) recounting of the episode with colleagues, including the Vice President, Mike Pence. Pence, it would seem, had been left high and dry on the record. The chat could well have also taken place in relaxed circumstances. 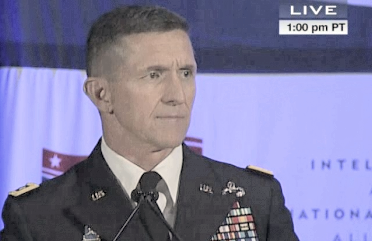 Flynn was vacationing at in the Dominican Republic. His tongue, relaxed in the wake both sun, sand and victory, seemed to wag. It was the sort of casual wagging that piqued the interest of some officials, some of whom sported their fair share of loose tongues. Prior to the Post’s publication, Acting Attorney-General Sally Yates, one of the first casualties of the Trump silence-or-be-fired regime, claimed that Flynn had misled administration officials on the subject of communicating with the Russian envoy. In doing so, he “was potentially vulnerable to Russian blackmail.” That particular information was relayed to White House counsel Donald McGahn, though what happened with that bit of gold is unclear. A few hours prior to Flynn’s resignation, Trump’s managing confidant Kellyanne Conway was telling MSNBC’s Steve Kornacki that the president had full confidence in the director. For Trump, political realities are hardened business realities. Nothing else matters. Trust being the operative word, one which seems to have done a remarkable vanishing act since the election last November. Not even Obama’s staff were particularly keen in shedding light on Russia with the Trump transition team. An unnamed (of course) administration official cited by the Washington Post noted how they decided “not to share with them certain things about Russia. We just thought, who knew? Would that information be safe?” Even the announcement to impose another round of sanctions on Russia for its purported electoral meddling was kept quiet for the most part from the Trump team. Trump, the entertainer who inhabits the White House, is finding how his slant on the cult of America First remains both inconsistent and distracting. Dealing with Russia remains a dangerous business in a political sense, even if some politicians have avoided the charge of illegality, notably on Flynn’s behaviour. The Flynn incident will also make matters difficult for Trump’s attempts to revise Washington’s firm stance towards Moscow. For one, his more sympathetic approach to sanctions and Moscow will be fettered, if not boxed altogether. GOP representatives and senators are hardly going to mellow. This latest turn of events reveals how the administration is fast becoming a sieve of delightful disclosures. As Glenn Greenwald has noted, the leaking of signals intelligence tends to be one of the gravest felonies, with the perpetrator facing up to 10 years in prison and a stiff fine. On this occasion, the anti-whistleblowing brigades have been silent as the tomb. As for Trump’s own reading of this debacle, a tweet will do. “The real story here is why are there so many illegal leaks coming out of Washington? Will these leaks be happening as I deal on N. Korea etc. ?” Members of the Twattersphere will be waiting.